This custom home is the epitome of beauty and grace. Located on one of Grey Oaks most charming streets and in close proximity to the renowned amenities of Grey Oaks, this home is perfect for entertaining. Numerous sliding glass doors lead out to a spacious lanai and pool area allowing the interior living spaces to blend harmoniously with exterior spaces and the surrounding lush vegetation. The great room concept, with additional living and dining rooms, features a chef's kitchen with a 6-burner Wolf cook-top, oversized Sub-Zero refrigerator, wall oven, convection oven, over-sized island, and large butlerâs pantry. 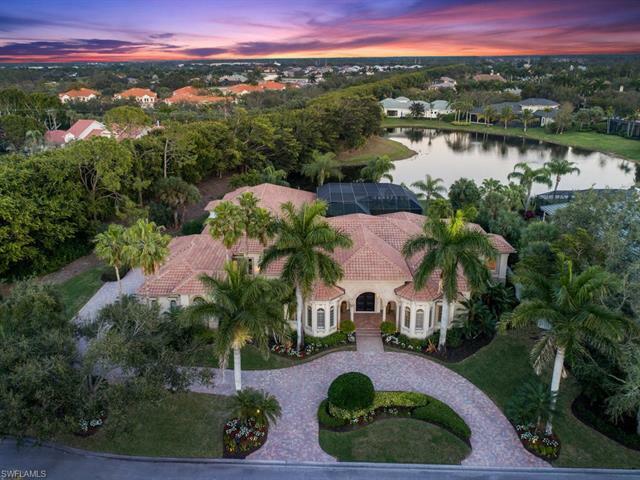 This home lives like a sublime resort wrapped in lush landscaping with a private lake view. The house even has it's own whole-house automated generator and a guest cabana with a private entrance off the covered lanai. This home is luxurious Grey Oaks living at its best! The house has been meticulously maintained and updated by the current owner. This home is a must see!